Print is dead. How often have you heard that? The notion that nothing needs to be printed anymore or done so in the cheapest and quickest way possible is short-sided. In this day of digital, electronic and instant media, there is something to be said for the tactility of a quality print job – quality paper using rich PMS colors, foil stamping, embossing, contrasting finishes and/or, of course, letterpress. Holding something nice in your hands will make anyone get the warm and fuzzies. Even those that are not in the industry cannot deny the positive reaction they have to a textured piece of stock or blind emboss. Two projects we entered in the local American Advertising Federation ADDY Awards competition utilized some of these printing techniques and I have no doubt that the quality production contributed to their win. The judges not only appreciated the design of the brand and package but they loved to pick them up and feel the package. 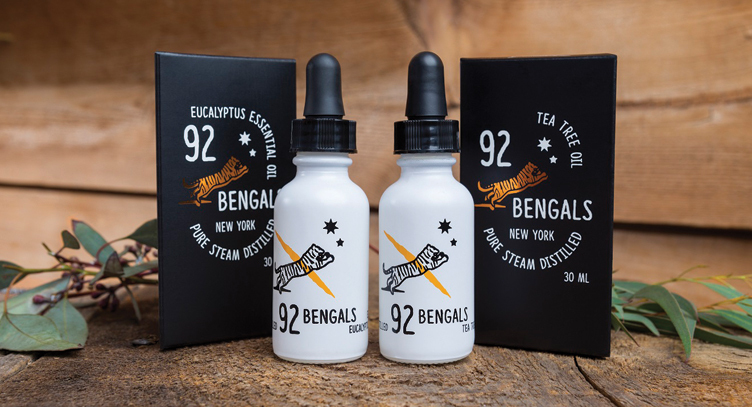 92 Bengals Essential Oils took home ADDY GOLD. This package was custom engineered according to our design concept. The unexpected shape of the box complemented the design and feels good in the buyer’s hand. The thick paper was printed with a solid black flood of ink and finished with a satin coating then foil stamped with a metallic orange foil. The interior printing an overall low contrast tiger print. Attention to detail and well executed. REACH Organics took home ADDY SILVER. Even though the box was a stock size and form, the printing took on a personality all it’s own. 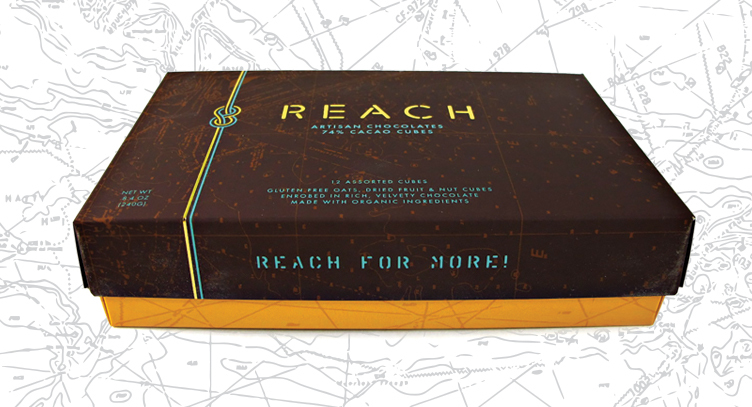 The REACH brand is expensive, decadent and indulgent. The rich chocolate print took on a velvety feel with a touche lamination. The high contrast to the bright teal is friendly and the gold metallic foil stamping is the cherry on this sundae. A box of chocolates that is an experience from the time it hits the palm of your hand until the product is consumed. Today’s buying may be done online, but the repeat buyer will only become a repeat buyer if they have a positive experience. Our projects that won ADDY’s this year communicate with impact both online and on the shelf. They have brands that are strong, memorable and authentic. They have packaging that is intriguing. They create experiences that build loyalty.